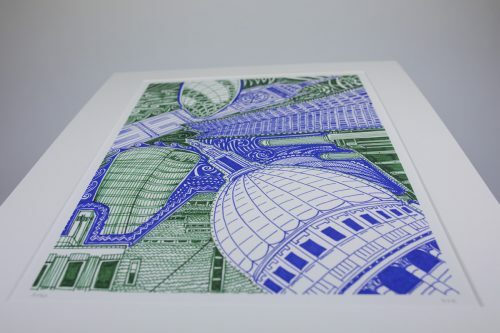 This original drawing was created using Stabilo pens on extra smooth Bristol board in November 2017. 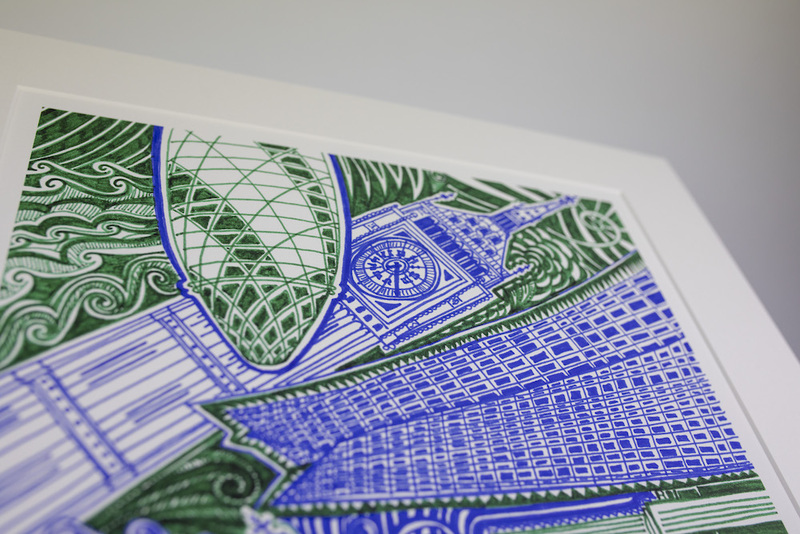 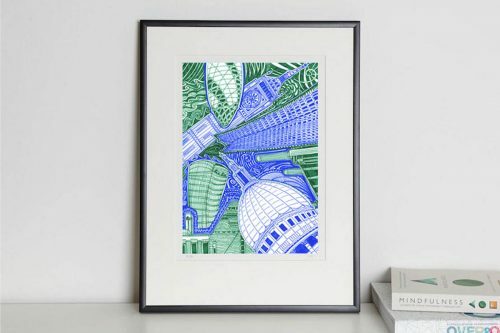 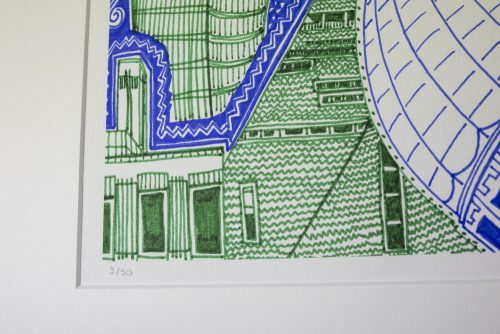 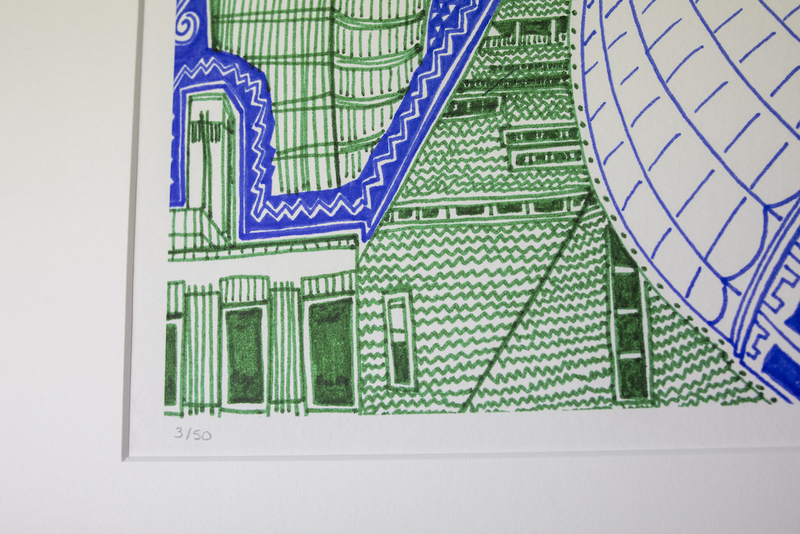 These are a selection of Kirsty’s favourite London buildings in her favourite colours, green and blue. 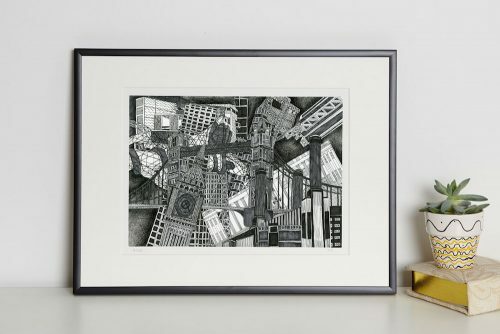 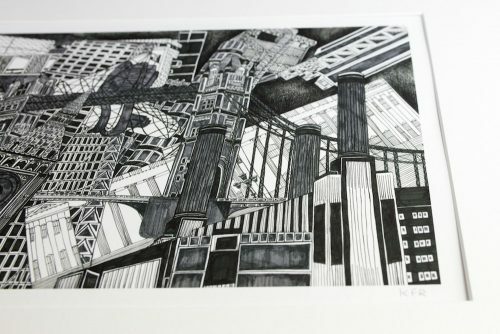 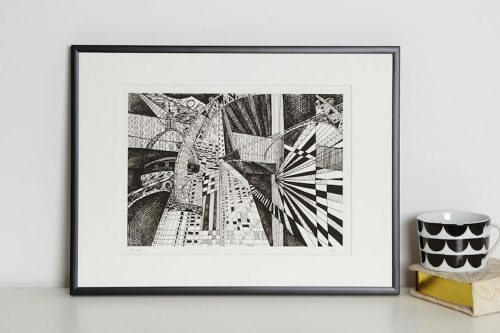 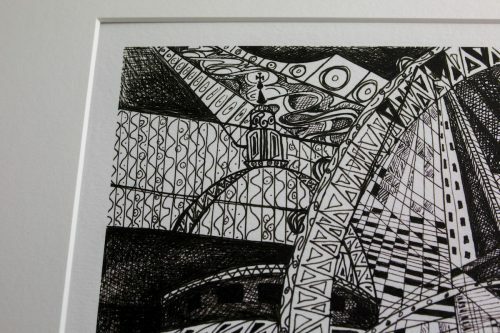 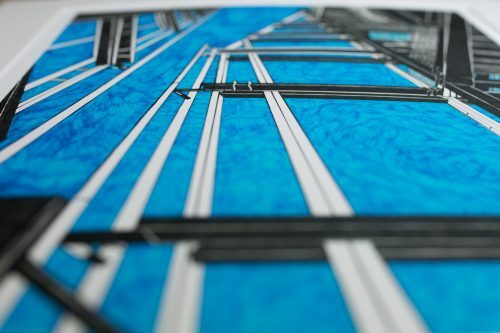 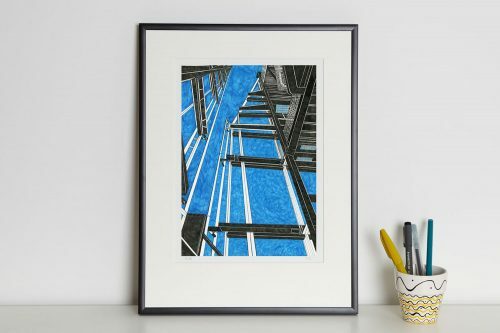 Kirsty was experimenting with creating a portrait piece, as her usual drawings of buildings are landscape.